At the Polyclinic, we value you as a patient, as a woman, and most importantly, as a mother. We understand that when you feel confident inside and out, your family benefits from that strength. Mothers work hard in all of their roles, and we believe you deserve to be pampered and treated well. And that’s why we recommend a Mommy Makeover. Mommy Makeovers are designed to counteract the physical effects of childbearing. From breast lifts to tummy tucks to liposuction, our plastic surgeons offer a wide array of cosmetic surgery options for your Mommy Makeover. 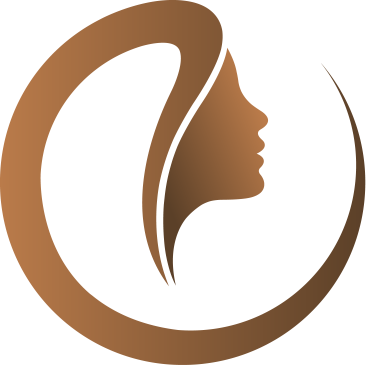 Each woman is unique, and we will work with you to determine which procedures make the most sense for your body type and budget. Using modern techniques to minimize pain and recovery time, we are committed to providing great results and enabling you to quickly return to your family and your life. If you’re contemplating a Mommy Makeover, these frequently asked questions should provide key information. If you have more questions, just give us a call! A Mommy Makeover is a combination of surgical procedures designed to restore a woman’s body after pregnancy and childbirth. The procedures, which focus on those areas most impacted by childbearing (breasts, tummy, waistline), are often performed all at once. WHAT PROCEDURES ARE TYPICALLY INCLUDED IN A MOMMY MAKEOVER? Just as each woman’s needs are unique, the surgical options vary greatly from person to person. A majority of women choose to combine breast and body procedures (liposuction, tummy tuck, breast augmentation or lift), for their Mommy Makeovers. Yet others are more interested in facial rejuvenation techniques, such as face lift or eyelid surgery. During your consultation, our experienced surgeons will help you choose the appropriate treatments to meet your needs. IS IT SAFE TO HAVE MULTIPLE PROCEDURES PERFORMED AT ONCE? Yes. Our qualified plastic surgeons are experienced in performing multiple surgeries at one time. As with any surgery, there are always associated risks and our surgeons will help you weigh those against the benefits before you make your decision. In the end, combining procedures allows for several benefits: a single recovery period, exposure to less anesthetic, and incurring operating room and anesthesia cost only once. HOW SOON AFTER CHILDBIRTH CAN I RECEIVE A MOMMY MAKEOVER? SHOULD I CONSIDER A MOMMY MAKEOVER IF I PLAN TO HAVE MORE CHILDREN? This will depend on the type of procedures you are interested in, as well as your timeline for having more children. If you plan to have more children within the next 3 years, it would be best to postpone surgery. If you intend to wait several years before having more children, the Mommy Makeover can help you enjoy your body during that long stretch of time between pregnancies. Results from procedures such as a tummy tuck or a breast lift will most likely be compromised if you become pregnant again. However, these procedures should not negatively affect your ability to become pregnant or your pregnancy in any way. HOW MUCH RECOVERY TIME WILL I NEED? Recovery time is dependent on the type and number of procedures performed. We recommend planning for 10-14 days of absence from work. You will continue to improve over the next several months, and your final results should be visible after about 6 months.